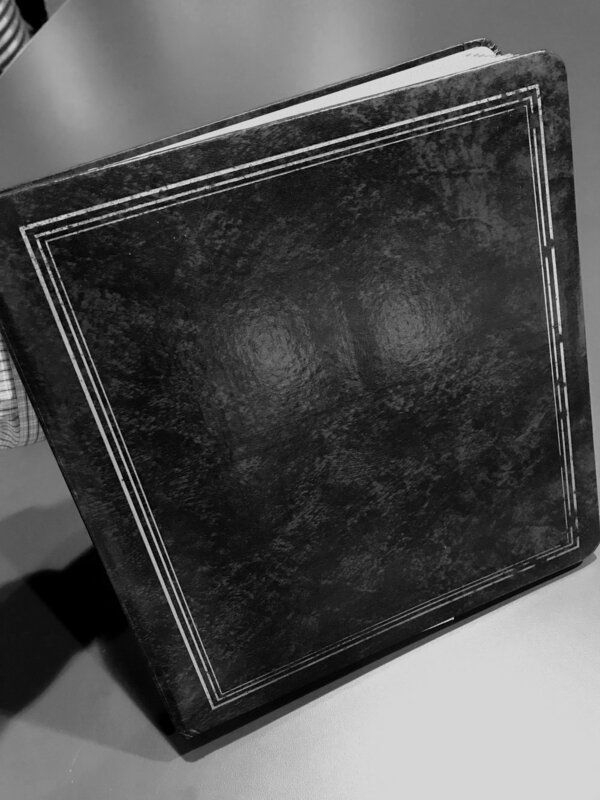 Once upon a time, a visitor to the Goodwill thrift store in Newnan found a photo album in a trash can and – thank goodness – decided to rescue it. 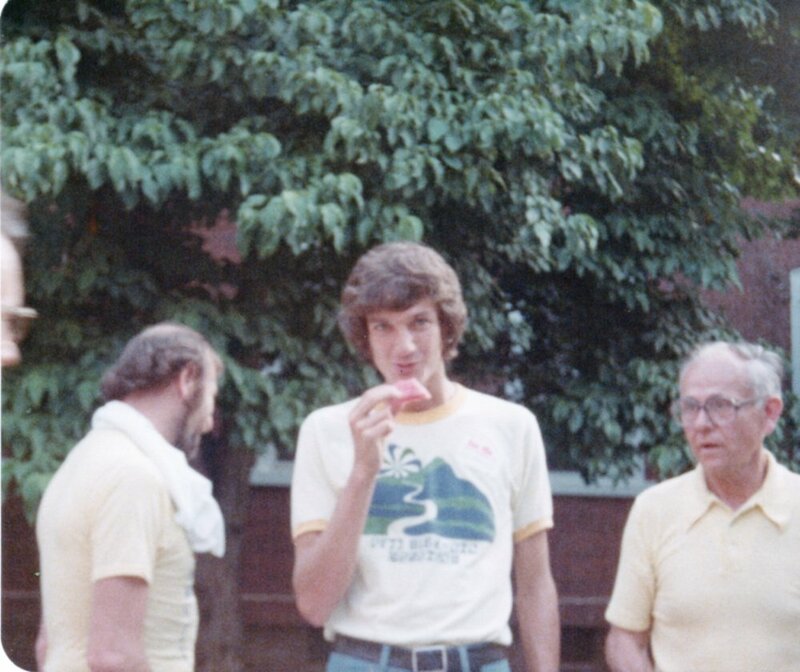 Realizing that its pages were filled with pictures from some AJC Peachtree Road Race, he gave it to his friend Paul Danforth, who along with others in his family has long participated in the Peachtree. Recently, a web weaved of fate and a lot of luck delivered the album, apparently owned by former race director Bill Neace, back into the hands of Atlanta Track Club. Appropriately enough, the first link in the chain involved fitness. Danforth’s wife, Susan, walks two or three mornings a week with her friend Sara. Her daughter Catherine has volunteered at Club events over the years. Sara’s sister is Eddy Bay, a friend of longtime executive director Julia Emmons. Last year, Paul showed Eddy the album while she was visiting from California. Eddy called Julia, and Julia called Paul. In December, special projects manager Janet Monk drove to collect the album from Paul, who had decided it was time to donate it to the Club for preservation and safekeeping. 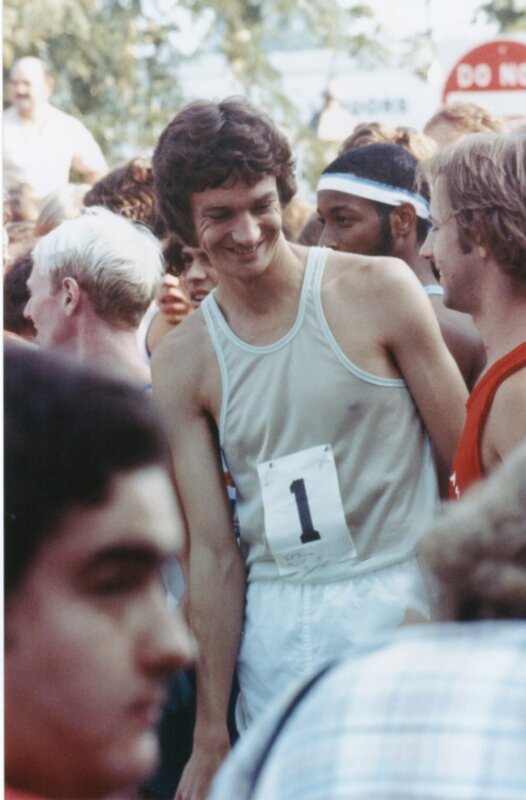 Defending champion Don Kardong arrived on the start line of the 1977 AJC Peachtree Road Race wearing bib number “1”. He would finish 3rd and the Peachtree would inspire him to start the Lilac Bloomsday 12K. He will retire as race director this year. Lasse Viren was the first international star to compete in the Peachtree. He came from Finland to the United States as a favor to fellow Olympian Jeff Galloway. 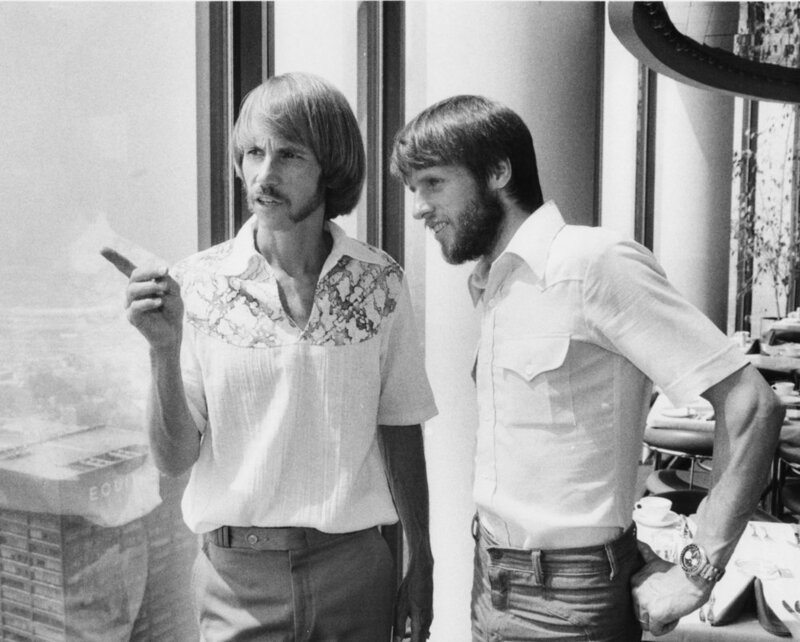 Here, Galloway shows Viren the finish line from a skyscraper in downtown Atlanta. Race headquarters was Galloway’s Phidippides Running Store. In this photo, the legendary Bill Rodgers sits in the store with eventual race winner and U.S. 10K record holder (at the time) Peg Neppel and five-time Peachtree winner Gayle Barron. A pre-race press conference featured Ed Leddy, Galloway, Kardong, Viren, Rodgers, Neppel, Barron and Kenny Moore. 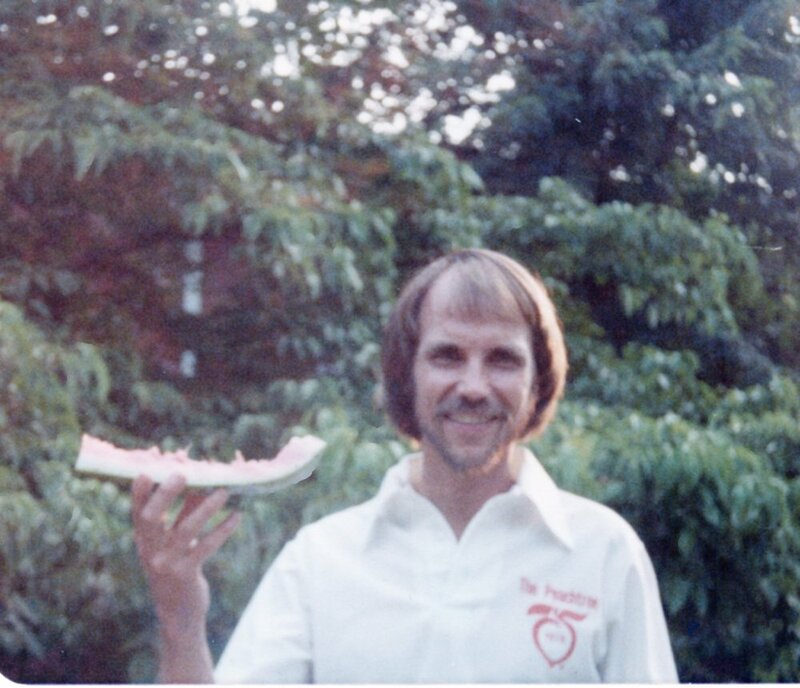 The post-race watermelon seed spitting contest was a legendary Peachtree tradition and Jeff Galloway was hard to beat! Kardong took part too. That’s Fred Lebow, founder of the New York City Marathon on the left. Elliot Galloway, father of Jeff and founder of the Galloway School in Atlanta is on the right.